Disneyland just recently celebrated its 60th anniversary! How exciting! Did you attend the 24-hour celebration? Disney certainly knows how to throw an amazing party! 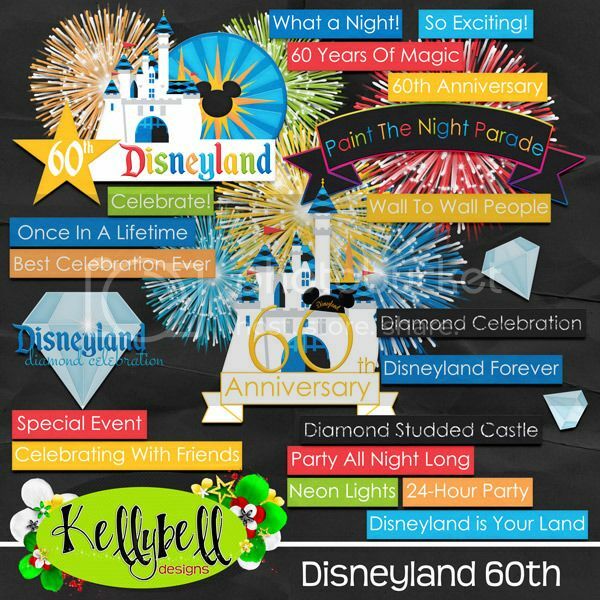 This week Kellybell Designs has some bright and colorful packs for you, and one that's perfect for that Diamond Anniversary celebration. Let's take a closer look. 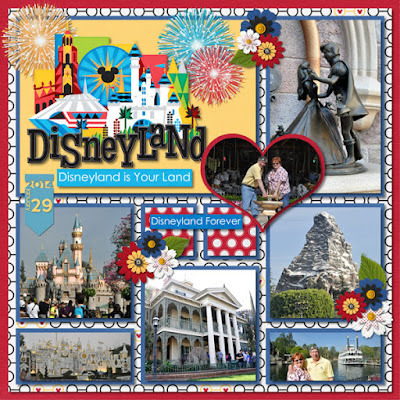 First up is a mini kit focused on Disneyland's 60th anniversary party. If you took lots of picture of the castle, the new parade and new fireworks display, then you'll need this for your scrapping stash. Following that same color scheme, Kelly's made a new Cover Story pack filled with beautiful word art displays that are perfect for your title page or your album cover. You can always use another method for placing a date on your page. Here's Simple Dates Vol 15. Easy to colorize and easy to mix and match. If you liked last's week set of new templates, then you'll love this next pack. These 4 template feature an oversized cutout of a diamond, circle, heart and mouse ears. How awesome is that? 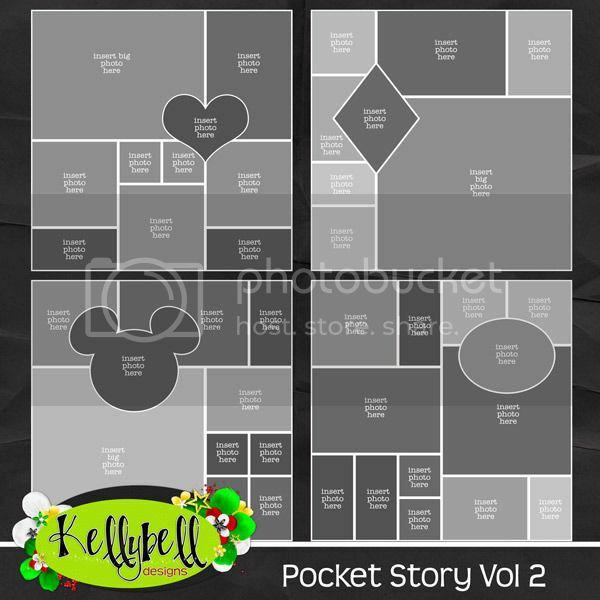 You can find all these new packs available inside the Kellybell Designs Store for 25% off this weekend only. 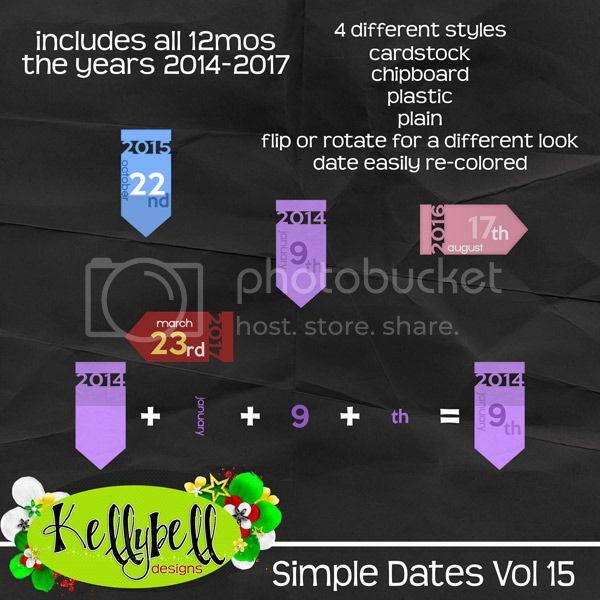 Now let's take a peek at all the ways you can use these templates, date stamps and cover displays. 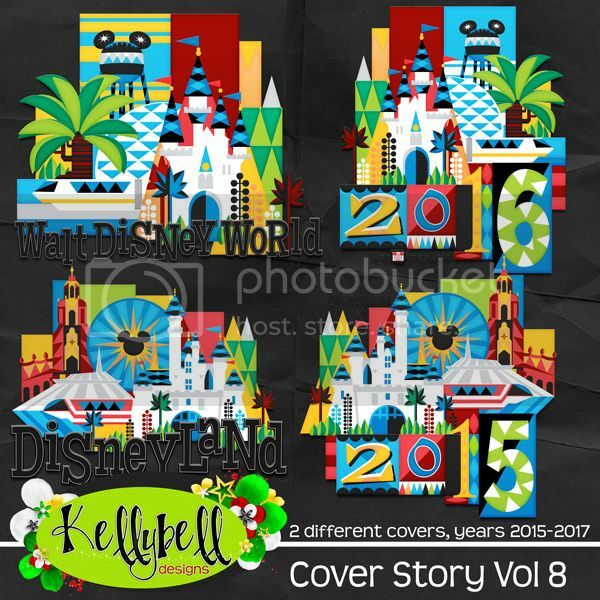 You can find all the CT layouts on Kelly's Blog or Kelly's Facebook page. Here's one that I made. Kelly's Creative Team gals have 3 fabulous freebies that coordinate with this week's new offerings. There's a freebie set of flairs and 2 quick pages. Make sure you stop by the gals blogs below to find them. Have a great week and happy scrapping!